I really can't believe how great Abercrombie is! Every time I finish another of his books, I'm amazed time & again how good they keep being. So far they've kept me fully sucked in to the very end, where I think heck yeah that's his best yet! So when I get that feeling every time with him i know that I'm experiencing something great. His character's have such individual richness that they really leep right off the page! Cosca had me bursting out laughing on a packed bus without me even realizing it! Thd 1st trilogy definitely has to be read 1st though. I'd rsad few reviews saying that the last 3 could be read independently, however I strongly recommend that u read the 1st trilogy 1st as some characters stay in the series with the time line flowing smoothly along. I'm now on book 5 The Heroes. 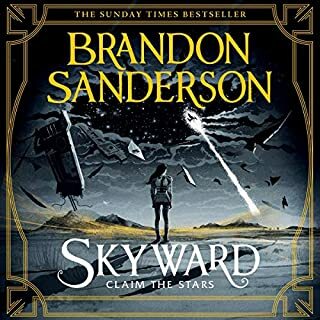 So far it feels like book 5 was best, but I think that's because it's a great story that just gets better. Great listen. Dark and vivid storyline. Loved it. Good narrator. Easy to listen to. Dark and foreboding. Kept me interested from start to finish. Descriptive vicious battles lightened by the privilege of dry inner thoughts of the participates. The adventure and action continue with intertwining sub plots. Character driven action and dialogue appreciated more by the skilful talent of the narrator. The only thing wrong with the audible versions of Joe's books is that awful music between chapters...WTF was he thinking to allow that? but one thing you can say about Joe Abercrombie is that he tells a great story. Loved it! Everything story and equally good performance by the narrator. Time for book 2! Abercrombie continues to amaze me with the depth of his characters, their various motivators, and how they all intermingle. Not for the squeamish reader though. Pacey is phenomenal and breathes even more colour into the story. You can't fault Pacey's delivery, the story is bleak and darkly humorous. if you've read other Abercrombie previously, this is one of his best. if you haven't, it's a great standalone and a fine addition to The First Law world. This is, without a doubt, one if the best fantasy books ever written. now my favorite author and narrator highly recommend to everyone you will not be disappointed. At this point, I think it's a safe bet that I will enjoy anything read by Steven Pacey. And I honestly think Joe Abercrombie gets better with every book. Very very addictive. A great new cast of characters along with some familiar names. Things kick off right from the start and keep pace righ to the end. Great characters, well developed and in Abercrombies style often put to beffitting or undeserved ends. Once again Steven Pacey puts in a flawless performance, every character unique and he hits every whispered, whimppered, croaked, shouted and stranggled line without fail. Steven Pacey is an outstanding narrator who gives life to Abercrombie's colourful characters. Its a dark tale of revenge with many excellent Abercombie twists. Things often don't go the way you might expect. Favourite character the swashbuckling Koska who always sees the humorous side. Another well crafted, intriguing but despicable character is the Poisoner Morvia. All of the characters are flawed but it makes them all the more interesting. I listened to the "First Law" prior to this and enjoyed it. "Best Served Cold" is also excellent. 11ty times better than the Michael Page version. Which character – as performed by Steven Pacey – was your favorite? All of them. Shame this version wasn't available first. Steven Pacey narrates so significantly better than Michael Page it ain't even funny. Found this book a bit too gruesome for myself. The underlying story is quite interesting for the more hardened listeners. 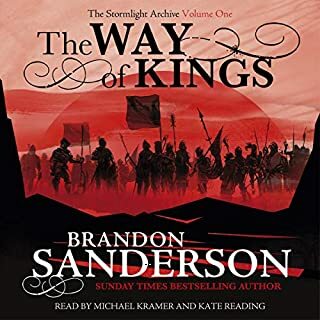 I listened to this book following the First Law series which I found very enjoyable. Unfortunately this particular book is pretty much a straight out, almost boring tale, with only a twist at the end to keep it from being rated even lower. Abercrombie has excellent character development, but I feel that the characters are a little too disfunctional in an almost "American sitcom disfunctional family" style. One particular failing that I found annoying was the eventual predictable situation of knowing something was going to go disasterously wrong when detailed and meticulously laid plans were set in motion. All in all it felt like the characters and story had moved from the sublime to the ridiculous. There aren't really any surprises here, no multi threaded grand design all coming together at the end. 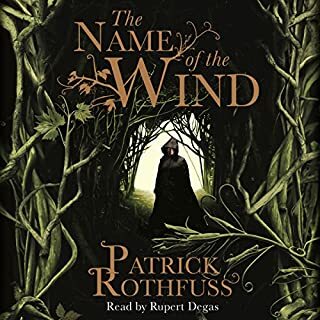 The characters are all so extremely flawed and hateable to point you feel nothing for them, which doesn't give the listener much to identify and feel with through the course of the book. Excellent narration rescues a rather forgettable storyline. Would you consider the audio edition of Best Served Cold to be better than the print version? Another triumph by the best current writer of epic fantasy. 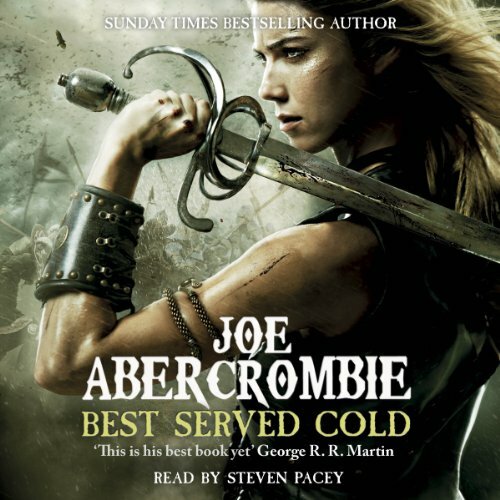 From the first page Joe Abercrombie's Best Served Cold is a deliciously sordid tale of revenge, murder, cowardice, triumph and trial. The narrative is pacey and very well constructed. The scenes each build upon each other as the book progresses. The book is also on funny. There are many moments when you can't help but laugh (and then feel guilty for laughing). The main characters are each triumphant yet flawed; dogged yet weak; hateful yet at the same time likeable. Although none of the characters are typically heroic, you can't help but sympathise with them, notwithstanding how despicable they can be. 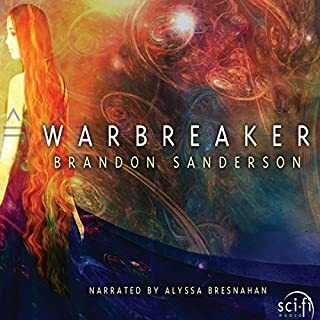 One of my top 10 audiobooks of the last 12 months. The book caused me to laugh, sympathise, despise the violence, root for the under dog, hate the hero whilst at the same time willing her to victory...a simply delicious book. Thank goodness for Abercrombie a creator of real people and places unlike the usual heroic good guy fantasy schmaltz. Really struggled with this one. 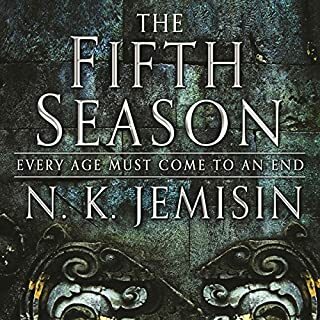 Between Unlikeable characters and a predictable story full of deus ex machina, there's really only one thing to enjoy and that's the narrator doing his damndest to breathe some life into this mess. Steven Pacey! Steven Pacey! Steven Pacey! I really enjoyed this, even more than the First Law Trilogy. The book has a great depth of characters, and the narrator brings these to life wonderfully. It's a great combination of a well written book and first class narration. I recently reviewed The Painted Man (different author) and I wasn't kind to it, because I had no empathy for the characters and ultimately didn’t care what happened to them. In this book most of the characters are low down dirty double crossing villains, but you can't help enjoy them. The reason you warm to them is they aren't just plain bad, they have some depth to them and complexity. 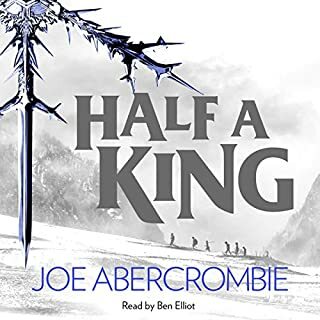 Joe Abercrombie has a wonderful way of building a story and getting you to care for the type character that most other authors would have cast as the villain. His world isn't black and white, there are people who just seem to get drawn into bad things … as well as those who just relish it. The references to the First Law Trilogy were excellent and some of the characters from that appear and get expanded upon. A word of warning though - prepared for dark deeds, dark humour and a couple of occasions where you feel like you might lose your lunch. 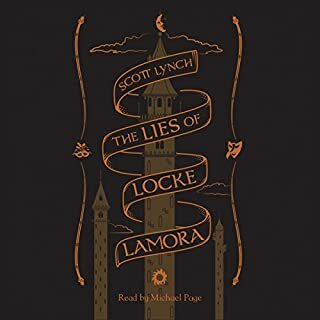 This book was originally sold with a change of narrator from the First Law books however the publisher has taken note and re-recorded this title and the following book with Steven Pacey. If you bought this with the other narrator you can re-download the title and it will be the new version with Steven Pacey. Excellant news given his brilliant performance. I loved the First Law series, and I think of this as a straight continuation into The Heroes. Steven Pacey's visceral reading brings this brilliant, fresh fantasy book to life with vivid sardonic character, and the book itself has a satisfying pace with lots of notches on the narrative axe. 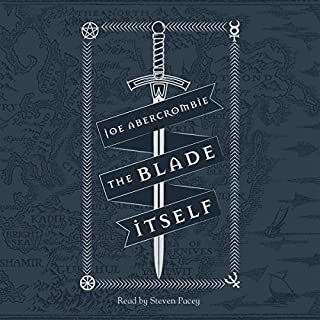 Because it is a complete story within one book I liked this the best of all the Joe Abercrombie series, but it is certainly richer reading them all in order, starting with The Blade Itself. 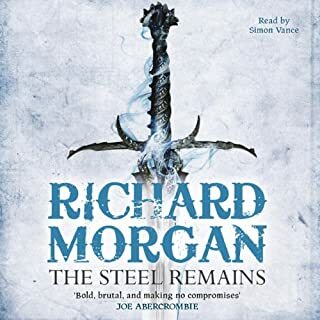 It's satisfying to see minor characters from one book developed in later volumes, and it seems to me that this is a hallmark of Joe Abercrombie's writing - a mastery of point of view. I consider these books a real milestone in fantasy literature, and dare I say it, a bit better than Game of Thrones? Joe Abercombie just keeps getting better and better. As the title suggests, it is a revenge plot story. But there isn’t only the main story arc, there are also a few smaller intertwined stories of revenge throughout, and it is done extremely smoothly. 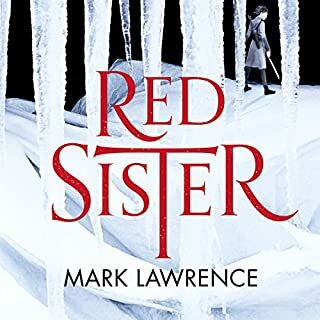 What I especially loved about this novel was how he took a couple of the minor characters from his first law trilogy that we weren’t too bothered about, and developed them into very likeable and interesting characters. This is a standalone novel though, so don’t be put off if you haven’t read the preceding books. Another thing I love about Joe Abercrombie’s novels, is how he spends about 1 hour after the “big ending” to set a picture of how the story will continue. 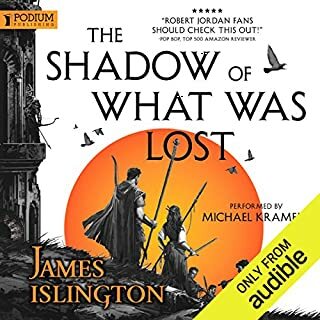 This not only gives a better impression of an epic world, of which this is a small story within, but it also prolongs the enjoyment of the story by making the reader think about it after finishing. Steven Pacey is one of the best narrators out there. His character acting was flawless, each having a distinctive and believable voice. 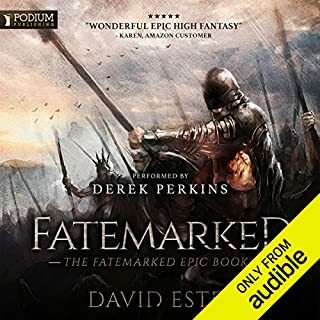 His narration enhanced the dark comedy and whit of Joe Abercrombie’s writing, and I felt myself absorbed into the action scenes/battles. Music/sound effects between scenes/chapters was a nice touch as well, although it would have been nicer to not re-use previous sound effects. Abercrombie + Pacey = Win! Would you listen to Best Served Cold again? Why? What was one of the most memorable moments of Best Served Cold? Other narrators should study Pacey. 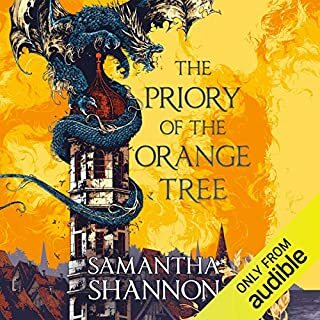 Have listened to several audiobooks before and never heard any other performance even come close to the same quality. He is consistent with the voices but he goes beyond that and builds a character and speech mannerisms. Pacey and Abercrombie, Purveyors of the Finest! Best Served Cold indeed! As I said in my review of the First Law series I was going to leave these a while and now that I have what an absolute treat it is. If you take the words of Abercrombie and get Steven Pacey to give voice to them then you have pure audio gold. 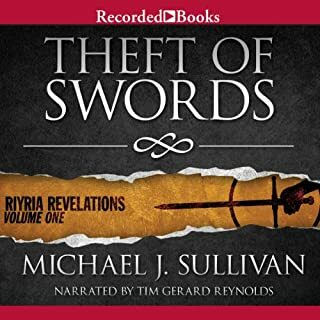 This is among the very finest audiobooks I have ever read. Abercrombie takes some of the lesser characters from the fabulous First Law series and tells their story keeping the world itself alive. This is a tale of revenge and all of his characters are massively three-dimensional. A distinct part of his art is actually making you fall in love with characters who are driven by baser instincts. Somehow he instills a nobility into some of them making them real contradictions. It's brilliant stuff and the homespun philosophy of some of them coupled with the delicious irony and sarcasm is a heady mix. The whole thing is a fast-moving cocktail of dark humour, cunning plans, strong violence and gore all set in a colourful world of vivid hues. And once again Abercrombie demonstrates his ability to write the most incredible, quotes, romantic scenes in literature . . .
Of course all of this could be brought somewhat down to Earth with a bad choice of narrator. But cometh the book cometh the narrator. Steven Pacey is so absolutely perfect for this it's almost like divine intervention must have brought these two together. He's a fabulous voice actor and you only have to look at what happened to the ratings in the Department Q series after he was dropped and read the reviews to see how important he can be. In these books the dialogue and character thoughts are absolutely key and he delivers them with absolute aplomb. 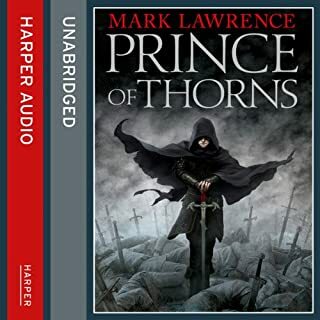 So, if you want to experience fantasy genre audio of the highest quality start with the First Law series and when you're ready take this one out of the fridge nice and cold. It's delicious. I had already read Abercrombie's First Law Trilogy and enjoyed them greatly, so I thought that I roughly knew what to expect from Best Served Cold but I was wrong. Yes there were strong men, fighting and a certain crudeness that runs throughout the book however in this novel, Abercrombie has really cranked up the humour and it's hilarious. I have previously complained about novels with no real characters in them - not here. This novel is full of people I would love to go drinking with (as long as they promised not to kill me). The poisoner, the mercenary, even Shivers, Mercato and the short lived King... all great characters the jealously, bickering, japing and interplay between them all is truly first class writing. 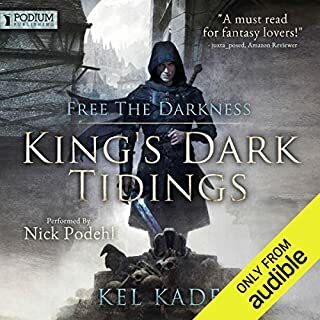 If you liked the First Law Series you will love this, in about 20 hours of Audio, all but the last hour and a half, where the story is wrapped up is an absolute joy-ride, give this book to anybody who thinks that Audiobooks are boring. 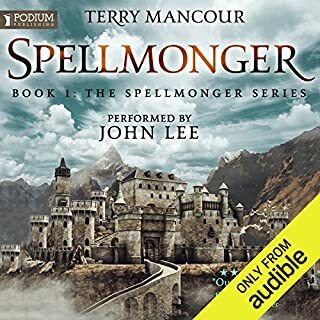 In addition technically, Steven Pacey's Narration is as good as I've ever heard, no mumbled or lost words, individual characters with their own accents and intonations. Brilliant. Imagine my delight upon just starting to listen to this book with a different narrator, suddenly I find that it is now Steven Pacey! And so is the final book: Happy New Year! Well worth the listen if you don't mind the blood! An epic story. Bloodthirsty and lots of graphic detail (not lunchtime reading!!) A good plot and well worth the effort. I liked it. 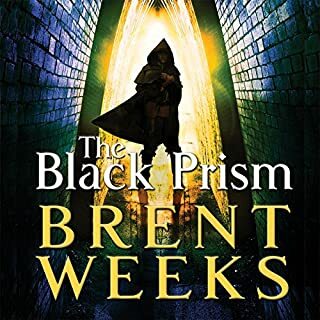 A fantastic book, great follow on from the first law series - but the change of narrator across the two really impacted my sense of continuity - a shame otherwise it would have five stars from me. It did feel like someone had replaced your fave actor in a soap with a different purpose and expected you not to notice. Outside of that, the same good pace and balance, with characters and plot lines that pulled you around emotionally with them.